happy easter to everybody, stuck indoors, still feeling poorly, as I can’t shift this cold, grrrr. on a better note,I have some holiday time booked off work, so planning to ride and paint some more( not at the same time) ! this quick watercolour hare being my first of the holidays, it was the most I could do with my little concentration, but quite fun I think. 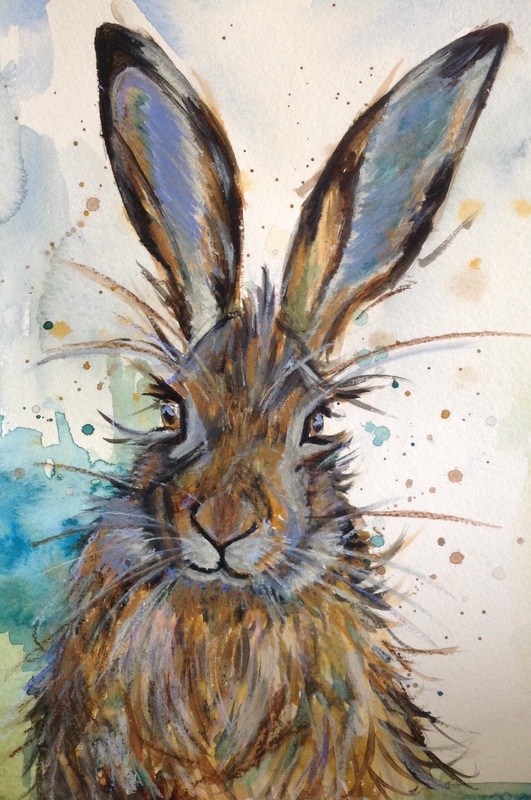 This entry was posted in easter 2015, Hare, watercolour and tagged Easter, Hare, watercolour. Bookmark the permalink.